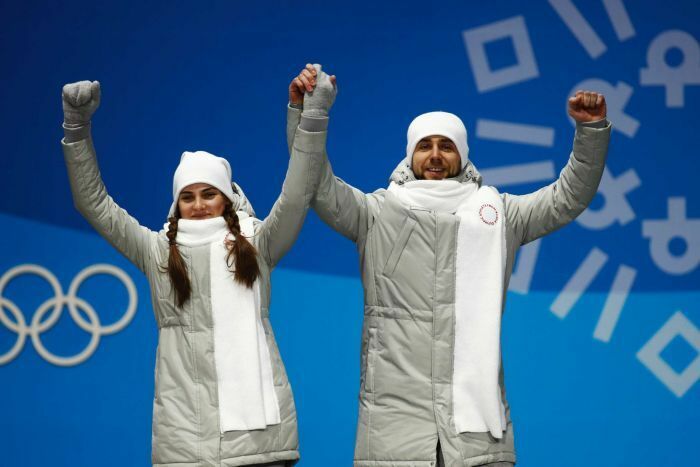 Alexander Krushelnitsky of Russia departed the Korean Olympic village and gave up his accreditation after he was suspected of testing positive for a banned substance, a Russian Olympic delegation official said on Monday, reported Reuters. The mixed-doubles curler, who won bronze with his wife, is awaiting a “B” sample expected later in the day local time, the official said in Pyeongyang. A source told Reuters news agency on Sunday that Mr. Krushelnitsky was suspected of doping with meldonium, a banned substance that increases blood flow and improves exercise capacity in athletes. The curler did not leave South Korea, reported CBC News. It’s expected that the daily International Olympic Committee press conference will reveal more on the situation. Russia was to be allowed to wear their full colours and hoist their flag in the closing ceremonies if there were no illegal substances used during the Winter Olympic Games. More details to follow. Image of the curling pair from Patrick Samensky/AP.